Biblical Criticism challenges a traditional dogma that all the text of the Torah that we have in our possession today was written down by Moses on the instruction of God during one brief historical period over three thousand years ago. Does this mean that it is incompatible with the belief of Torah Min Hashamayim (Torah from Heaven)? Certainly, the Torah can be from heaven even if it is not from Moses. But what about Torah MiSinai? Does accepting the findings of academic biblical scholarship mean that it is necessarily incompatible with the idea of Torah MiSinai? This essay explores the possibility that the two worldviews are more complementary than many Jews seem to think. It has always struck me as significant that the Torah does not expressly command one “to believe.” The first of the Ten Commandments is a statement. It asserts that God is the ultimate authority and power. It assumes a total commitment; it is the basis and foundation of our religion. However, the verse does not actually say anywhere, as a command, “You must believe.” Indeed it is inaccurate to translate the biblical Hebrew word emunah as belief. Rather it means conviction, trust, which you might say, is far more significant than an abstract and unverifiable concept. The term “belief” is open to too many cultural and theological nuances. The Torah uses belief much less theologically than practically. Belief is difficult to legislate. You can check on how people behave but how do you test what someone actually believes? Avraham is commanded to “walk before me and be sincere” (Genesis 17.1). This seems to me to characterize the essence of one’s relationship with the divine more than the abstraction of belief. Part of the genius of Torah is that it does not try to specify any credo. It was not until medieval times that there was any such formulation in Judaism. The Torah, by not specifying the commands about God in detail thereby acknowledges that the human mind can be led but it cannot be constrained. The Torah tells little about the nature of God other than that God is unique, the Creator and cannot be “seen” by a living being. There are also the “Thirteen Qualities of God,” but they are not formulated as a religious creed, a much later development. Instead, each one of us must find the specific way we can relate to God and make sense of God’s world and God’s Torah. The Torah, in other words is a pre-philosophical text. Torah and Talmud from Heaven? What is the meaning of the verse: “And I will give you the tablets of stone and the law and the commandment, which I have written so that you can teach them”? “Tablets of stone”-these are the ten commandments, “the law”-this is the Torah, “the commandment”- this is the Mishnah,” which I have written”- these are the Prophets and the Writings, “that you may teach them”- this is the Gemara. And it teaches that they were all given to Moses on Sinai (TB Brachot 5a). Surely this passage cannot be understood literally to mean that every letter of the Prophets, the Writings, the Mishnah, and even the Talmud was given to Moses on Sinai. What about all the variations of Talmudic manuscripts? As if the above passage weren’t sufficiently problematic, what are we to do with the passage in Midrash Vayikra Rabbah (22) which states, “everything an experienced pupil might ever say to his teacher” was dictated to Moses at Sinai. What are we to make of such a claim? Are we to imagine that the entirety of halakhic discourse for all future time was communicated to Moses at Sinai, even including modern day controversies such as the use of electricity on Shabbat or the status of brain death? It seems impossible that this could really be what the Sages intended us to believe. The academic world works from a very different set of assumptions to the Yeshivah world. This does not mean we should take an automatically antagonistic stance towards their position or subject it to scrutiny from a commitment to Torah from a metaphysical position, i.e. by claiming that the Torah cannot be analyzed or understood rationally since it is the word of God. Rather, we should try and understand the academic position, how it works and why academics see the Torah the way that they do. Academic scholarship’s attempt to understand texts should not be confused with efforts to dismiss or discredit them. The Talmud stresses that its real opponents are those who deny, not those who question. Unfortunately, many people believe that undermining the Torah was the sole aim of those early pioneers in “Biblical Criticism” and remains so among its current practitioners. However, this is a caricature of the history of this form of scholarship. From the time of Spinoza’s “Tractatus Theologicus Politicus” the apparent contradictions and the anomalies of the Torah text have been in the public arena. The much more comprehensive Julius Wellhausen “Documentary Hypothesis” appeared in the 1870’s. 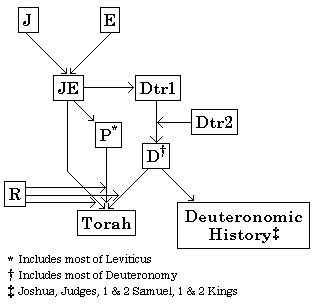 Here was an ostensibly academic theory that the Torah had multiple editors, the JEPD (Jahwist, Elohist, Priestly and Deuteronomy.) 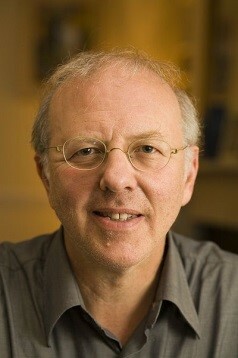 Wellhausen’s theories were rejected out of hand by many Jewish authorities as “Higher Anti-Semitism” because they believed his own Christian agenda was to disparage the “Old Testament” in favor of the ”New.” Nevertheless, Wellhausen’s paradigm quickly became the dominant one for Jewish and non-Jewish academic Bible scholars alike. Certainly, the original theories have been dramatically revised over the years. There is now a supplementary hypothesis and a fragmentary hypothesis to complement the documentary hypothesis, and each of these comes in multiple flavors. Nevertheless, the vast majority of academic Bible scholars agree that large swaths of the Torah were written by different authors in different styles, places and times. The editor or collator drew on multiple sources and the process of canonization and final redaction took hundreds of years, culminating in the Massoretes upon whose text we rely. This is not disputed outside of fundamentalist circles. Over the many years of my work in education and the rabbinate I relished challenges and welcomed open discussion. Time and again the question of Torah from Sinai returned to the agenda. My more traditional positions on Torah were challenged by students who had never been given a Jewish education, by Reform Jews who had rejected what they saw as the narrow and restrictive perspectives of Orthodoxy. More significantly for me, they were challenged by a handful of other Orthodox Jews I encountered, who felt the traditional simplistic position, failed to stand up even to the sense of the Orthodox texts themselves. They grappled with the issues but remained emotionally and spiritually within the traditional camp. This was a dichotomy I encountered more and more even amongst Charedi friends. These friends still lived in a very restricted mental and physical ghetto; they seemed to believe that if one wanted to live a religious life, one must necessarily accept the conventional religious dogmas. Modest challenges from within the Charedi world, from Rav Natan Slifkin on science and Torah or Rav Shmuel Kaminetzky on historical facts about the lives of great rabbis from the immediate past, were attacked with a vicious, ad hominem brutality. The attacks failed to tackle the essential issues but simply threw up lines of uncompromising defense. I realized that attitudes such as mine—I had developed a sort of mental schizophrenia that I tritely labeled “Athens” and “Jerusalem” that helped me deal with the tension of living in both the academic and yeshivish worlds—would not break down the current socio-political mainstream of the Charedi world. But my aims were modest. They were simply to show that it is possible to remain true to the concept of Torah MiSinai, to live according to Torah and still be able to think for oneself. Why should one want to go into such issues altogether? Isn’t emunah peshuta (simple faith) the ultimate in religious obedience? This may be fine for some but not for everyone. Besides enquiry has always been an essential part of the a Talmudic process. “He who knows how to calculate the cycles of the universe and the astrological signs and refuses to, of him it is said “They disregard the work of My hands” (TB Shabbat 75a). If there are sciences and studies, it is a Divine obligation to study them, ad major gloriam Deum (for the greater glory of God). “Know what you should answer the doubter (the epicurean, the philosopher)” (Mishna Avot 2.13). Different people will interpret this in different ways. What constitutes a legitimate response to one group might be looked on as woefully inadequate or even intellectually dishonest by another. We must recognize this and try to find a way of responding. To me, the above quotes seem to validate honest enquiry, as does the work of Rambam, Ralbag and other Jewish philosophers over the centuries, who were also trying to make Torah comprehensible through the intellectual lens of their times. Facing up to the challenge of the different styles in the Torah, initially I resolved the issue to my own satisfaction as one of literary style. Each one of us has different languages and sets of vocabularies we use at home or at work, at play, with our parents, our wives and our children. When we tell our children stories about our lives the language and style will be very different to the language we use when we admonish them. Even our own way of communicating changes over the time of our own lifetime. Language itself is a human phenomenon that limits what we can say to human language. We cannot use two words simultaneously. As Chazal say (TB Rosh Hashana 27a) “Two sounds from one person cannot be heard”. There are two different words, Zachor and Shamor used to describe the obligation to keep Shabbat in Exodus and then in Deuteronomy. We humans can only deal with one after the other. The Almighty might have intended both words simultaneously but Torah could only write them sequentially. We may want to say that the most important thing about Shabbat is to adhere to its rules, to keep Shabbat. Yet equally important is to understand and remember. Implicit in this issue is the fact that Torah’s language has to adapt itself to human ears and minds. The word of Heaven has to pass through a human transmitter. And so it is with re-telling narratives. For example, the Tabernacle is commanded, planned, built then dedicated, all elements essential to the finished product. Perhaps that is why the process is repeated in such detail so many times. Perhaps that was how one conveyed importance and significance. Narratives too are often repeated for a purpose. Genesis 1 describes the contents of the universe. Genesis 2 goes over the subject, this time dealing with relationships and the interactions with nature and other creatures. Each one of the three narratives, “No sire, she is my sister not my wife” gives a different way of discovering the truth and each one presents us with a different society and different relationships. In short, if Torah was meant to be understood as a song, and if it was written with Ancient Near Eastern standard literary and rhetorical tropes, then the process of communication is understandably very different to a legal text. Yet, we must temper this response with the reality of what the Torah as a book actually is. Whereas parts of the Torah are narrative or moral instruction, parts of Torah are obviously legal, and these sections also contain repetitions and contradictions, which are difficult to understand. Furthermore, it must be noted that just because repetition and contradiction are literary styles does not mean that every repetition and contradiction can be reasonably explained by this fact. Indeed, adding layers of text is just as legitimate a way of expressing development as editing. The above points are attempts at rationality but an entirely different approach could come from mystical Judaism. For some, mysticism is a preferable route to take. According to mystical or kabbalistic doctrine, vast amounts of Torah are written intentionally as an antidote to rationality. One may differentiate between a mystical encounter—what Kierkegaard called “the leap of faith”—and a rational one. For many, the acceptance of Torah as Heavenly is an act of faith, and this is as legitimate a position to hold as any other. Are the Traditional Responses Sufficient? For some, either the literary approach or the mystical approach may sufficiently ease the tension and allow Nevertheless, for many religious Jews, these points about style and intent leave many questions unanswered. Additionally, the above answers really do not address the question of whether the texts were edited or modified at any stage, whether by scribes or Massoretes. They do, however, show the dangers of reading the biblical text at face value and out of context and time. The few examples I referenced above are just the tip of the iceberg. Books like Norman Solomon’s “Torah from Heaven” present the challenges and different approaches in a far more comprehensive way for anyone interested in the subject from a theological and historical point of view. Assuming one sees these issues as problems, what is one expected to do? Are we expected to pretend no problems exist? How does one live with the apparent contradictions? In the final sections, I present three examples of how one might resolve the issue. I cannot pretend or expect that any one will satisfy every reader but I do hope they will show how the search for a reconciliation need not detract from one’s commitment to Torah as a vehicle for divine revelation. In a paper given by Dr. Brian Klug at Oxford in June 2013 under the title of “Orthodoxy, Theological Debate, and Contemporary Judaism,” he deals with this very issue of Divine Revelation or Torah from Sinai. He quotes the late Rabbi Professor Louis Jacobs. However, Klug sees a weakness in Jacobs’ approach. Jacob’s is redefining the historical reality of revelation in order to make it more reasonable. Making use of Ludwig Wittgenstein’s philosophy, Klug challenges Jacobs’s basic assumption that belief in religious dogma can ever be reasonable. Religion cannot be described as reasonable, Klug claims. We have no “reason to believe,” he says, despite Jacobs’ assertion in the title of his book (=We Have Reason to Believe). 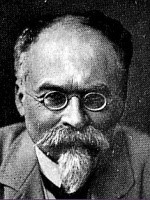 The Viennese Logical Positivists argued that propositions that could not be challenged empirically were “non-sense.” This did not necessarily mean that they had no value. Religious faith claims can have other benefits, such as binding the believer to a community or giving his or her life purpose and meaning. Nevertheless, it remains “non-sense” since there is no way of verifying their truth or significance, since they could not stand the test of verification. Klug presents a picture of Wittgenstein’s changing, one might say evolving attitude towards religious propositions. My whole tendency and I believe the tendency of all men who ever tried to write or talk Ethics or Religion was to run against the boundaries of language. This running against the walls of our cage is perfectly, absolutely hopeless. Ethics so far as it springs from the desire to say something about the ultimate meaning of life, the absolute good, the absolute valuable, can be no science. What it says does not add to our knowledge in any sense. But it is a document of a tendency in the human mind which I personally cannot help respecting deeply and I would not for my life ridicule it. According to Klug, the main difference between Jacobs’ approach and that of Wittgenstein is that Jacobs’ is still looking for some sort of historical reality. Since the biblical story of revelation as described could not be salvaged, in Jacobs’ view, its meaning had to be modified in order to make it fit with historical truth. Wittgenstein, on the other hand, wants to separate history and religion into two separate languages. In his view, when we discuss one we are not really discussing the other. Klug applies this thinking to the religious doctrines of Torah min Ha-Shamayim and Torah mi-Sinai. He suggests that, following the Wittgenstein model, when a person states his or her belief in these doctrines, he or she is not really expressing a literal, albeit modified, belief that God dictated the Torah to Moses at Sinai. Rather it is a encoded way of speaking, a distinctive grammar, that expresses that this person is part of the group that makes this claim and accepts the consequences of being a full member of this group. It is a way for the person to bind his- or herself to halacha, to the Jewish people, and to the religious community. Another very different approach is that of the late Peter Lipton, Professor of History and Philosophy of Science at Cambridge in a paper called “Science and Religion: The Immersion Solution” in 2005. Lipton explores the writing of Bas van Fraassen (1980, esp. ch. 2), who compares the different ways of believing in or accepting scientific theories. Scientific theories are to be given a literal interpretation: they are not metaphors, and they are not shorthand for statements about observable states of affairs. However, conceptualizing a theory literally does not equal a full acceptance of its truth claims. To accept a theory, in van Fraassen’s sense, is not to believe that the theory is “true” but only that it is empirically adequate, that what the theory says about observable things is true. In accepting a theory one may actually believe only a part of it, and, functionally speaking, acceptance may be the strongest cognitive attitude one should take towards a scientific theory. When it comes to religious issues, the approach is rather similar. One interprets religious claims that one wishes to accept literally. “Lipton subsumes this within the general idea of “immersion.” To immerse oneself in a theory is to enter into the world of that theory and to work from within it. This is not to believe that the theory is necessarily true, but it is to enter imaginatively into its ‘world’… Immersion is distinct from belief. Accepting a religious text thus means accepting some but not all of its claims. Which claims we accept is largely externally determined, by moral reflection, our own experiences and in some cases by science… We construe our religious text literally, we believe only parts of it but we use all of it and we immerse ourselves in the world it describes. “Many religious people have difficulty seeing the point or value of religion without belief in God. If that is what you need, the immersion solution is not for you. But the immersion solution can provide a great deal, more than even the most enthusiastic book group. The religious story has its life in the context of ritual observance and more generally as part of a religious form of life. It is a story in which the reader herself is also a participant, and it may provide extraordinary support for communal identification and moral reflection. Consider the natural worldly benefits that religious activities provide for the religiously committed, benefits that can be characterized independently of the question of a supernatural source. The immersion solution will not support the belief that their source is in fact supernatural, but it may support the benefits themselves. For some religious people, the satisfaction they derive from their religion would evaporate if they ceased to believe in the existence and influence of God. But for others, it is not belief that is doing the work, but rather intense and communal engagement with religious text and with religious practice. For those people, the immersion solution may be enough. The extent of one’s involvement in religion in general is not a matter of logic or argument. In essence, it comes down to the extent to which one is immersed in a specific tradition. The more one is immersed the greater its impact on one’s life. It is not just the text or the theology that defines ones religious commitment but the degree to which one lives it that defines the religious person. In other words, by adopting the immersion solution, one sidesteps the whole issue of theoretical faith and focuses instead on an existential commitment. What one calls this commitment, whether it is Torah Min Hashmayim or Torah MiSinai is irrelevant. One can immerse oneself in either or both of these conceptualizations without having to believe that either represents factual, historical truth. In the immersion model, truth claims do not drive one’s religious experience. It is the impact, the commitment and the authority that matters in practice rather than the assent to abstract ideas. A third possibility of coping with the dual track of faith and logic is to adapt an idea first put forward by a German thinker, Hans Vaihinger (1852–1933). Dealing with “reality” and whether what we see and experience is “true”, he argued that human beings cannot really know the reality of the world. For example, the way a table looks to the human eye is very different to the way it looks through a powerful magnifying glass. Which is “real”? We behave “as if” the world matches what we think we see. George Kelly (1905–1967), an American psychologist, also encouraged people to try different ways of looking at events to see what might happen when they act “as if” these alternative ways might work; in this way they might learn to change their ways of behaving. It is how an idea is absorbed by an individual and what it means to him or to her that practically determines that person’s behavior, not some externally or communally defined reality. “Whoever looks at a women’s naked finger is “as if” he has looked at her most private parts” (TB Berachot 24a). “Whoever eats on Tisha B’Av it is “as if” he has eaten on Yom Kippur” (TB Taanit 30b). “Whoever lives outside the Land of Israel it is “as if” he worships idols” (TB Ketubot 110a). Such statements are intended as homiletical devices. It is doubtful if they were ever meant literally or intended to be binding or halachic. Rather they were meant to give a sense of how significant the particular act was and is. It is not, therefore, unreasonable to say that the religious claim that something “comes from God on Sinai” is another way of saying that this is what the Almighty requires of an individual. In other words, saying that the Torah was given to Moses at Sinai is another way of expressing that it is the core of what the revealed tradition requires of us. We are to treat it with the same gravity and spiritual imperative as if it were spoken to Moses on Sinai. The above discussion is not meant to be definitive or exhaustive. Rather, my intention is to show how complex the subject is. If one is genuinely interested in recognizing the challenge and in trying to find ways to respond to it that do not undermine one’s commitment to Torah, then the matter must be faced with honesty and creativity. Not everybody does want to explore intellectually and not everybody should, but we live in a world in which this is part of the intellectual climate. Just as Maimonides believed that the understanding of God required the full marshaling of one’s intellectual powers, so too the full glory of Torah can only be appreciated by bringing one’s intellect to bear on every aspect of it. To my mind, the challenge of academic biblical studies is not to Torah but rather to the ways, usages and interpretations that different generations have brought to bear on Torah. How any given generation approaches Torah has much to do with the needs of the time. Our times have up to now, required us to focus on restocking the fountains of Torah destroyed in Europe. However, in this generation, with Torah study and religious Jewish culture thriving, the nature of the challenge has shifted. It is my belief that, in our days, to preserve our miraculous gains, we must address the intellectual challenges posed by the academy and the current understandings of history taken for granted by almost the entirety of the secular world. These challenges require us to think creatively about what certain traditional ideas really mean. Nevertheless, I believe that that Torah and the Jewish people are up to the task. Scholars such as Umberto Cassuto offered dramatically different suggestions for how the Torah was written, while others like Yechezkel Kaufman tweaked the theory to avoid Wellhausen’s antagonistic (Christian) bias against law and ritual. Early alternative versions of parts of the Torah have been found in Qumran. Additionally, the Samaritan Pentateuch and Greek Septuagint each represent variant versions of the Torah, canonized by different communities (the former by the Samaritan community, the latter originally by Hellenistic Jews and later by the Greek Orthodox church.) Our Masoretic text is based upon the Aleppo Codex of Ben Asher (ca. 10th century CE). See: Louis Jacobs, We Have Reason to Believe (London: Vallentine Mitchell, 1995), p. 15. Brian Klug, ‘A Lecture on Ethics’ in Ludwig Wittgenstein, Philosophical Occasions: 1912-1951 (ed. James C Klagge & Alfred Nordmann; Indianapolis: Hackett, 1993), p. 44. It is worth noting that Amit Kula, in his book Existential or Non-Essential [Hebrew], also makes use of Wittgenstein in discussing revelation and history. Klug emphasizes how Wittgenstein’s own rational views were modified over time and how towards the end he came to give religion a very significant role in his own life. The objection might be raised that no similar formulation is used in the Talmud of the Sinai experience. But the rabbis have agreed that certain principles apply to Torah that take it out of a scientific context. For example the idea that there is no fixed chronological order to the text (TB Sanhedrin 49b etc.) shows that interpreting Torah and creativity may not be mutually exclusive within defined parameters.